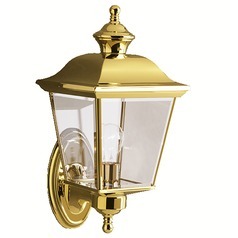 Destination Lighting has a collection of brass outdoor wall lights that makes an aim at the classic look but comes with dressed up in modern style. 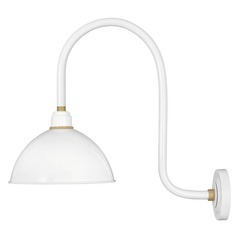 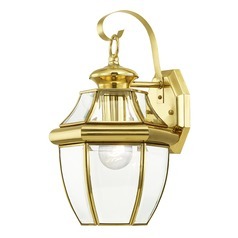 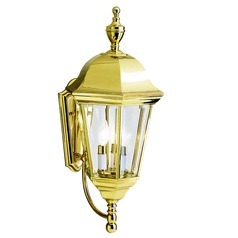 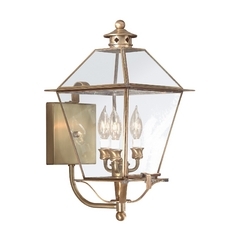 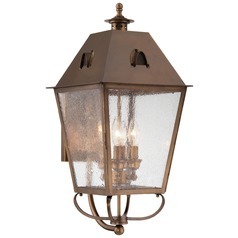 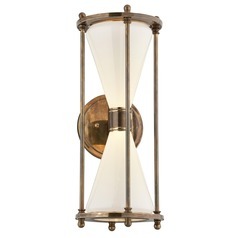 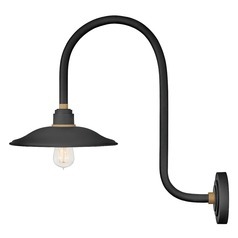 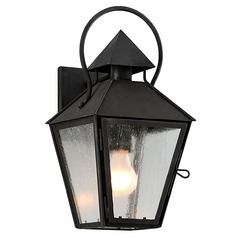 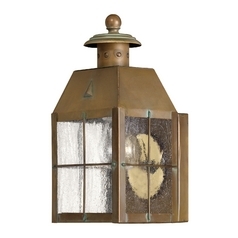 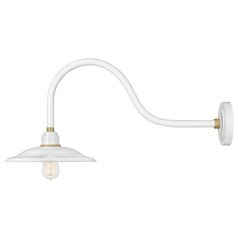 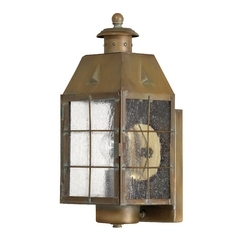 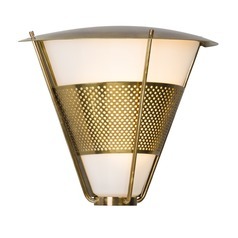 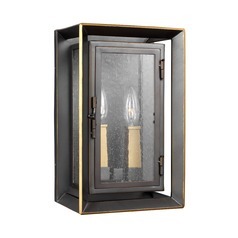 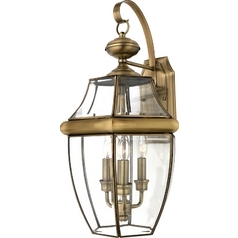 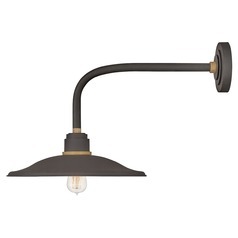 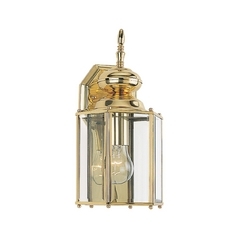 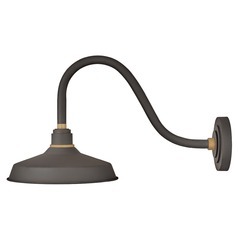 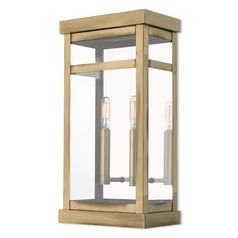 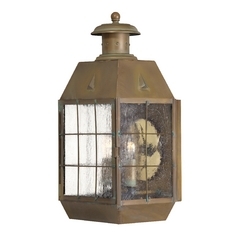 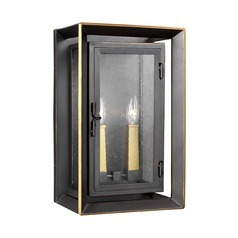 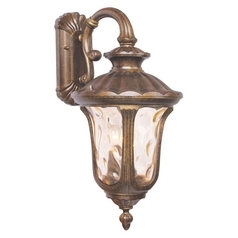 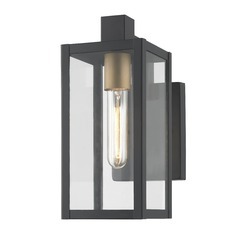 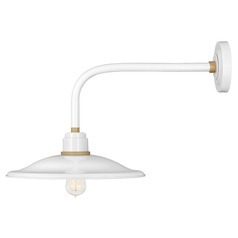 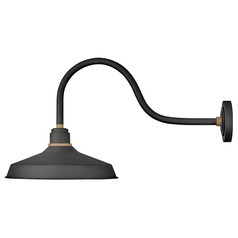 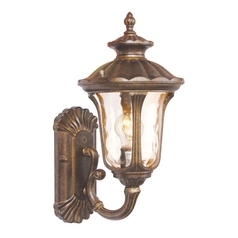 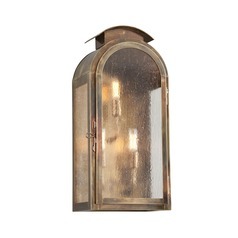 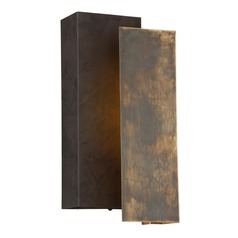 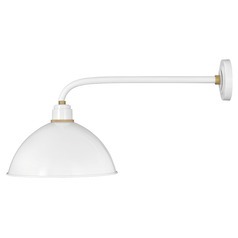 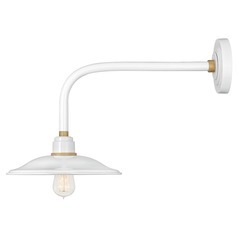 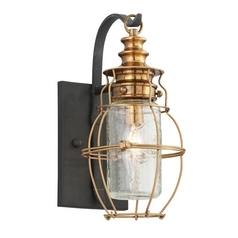 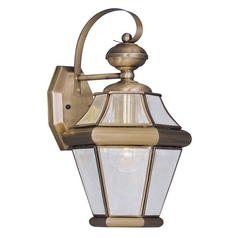 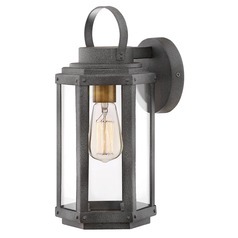 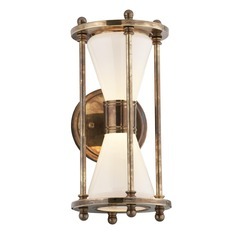 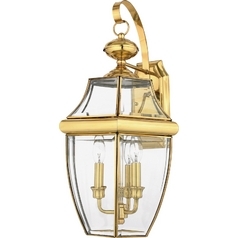 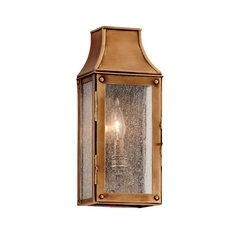 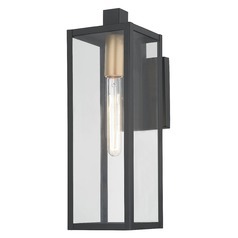 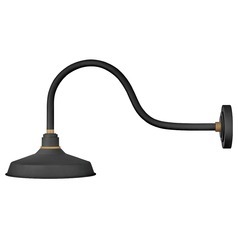 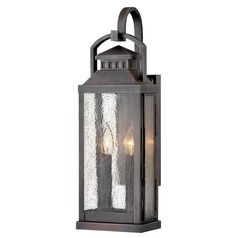 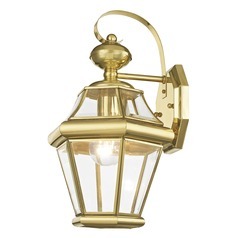 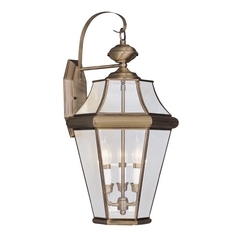 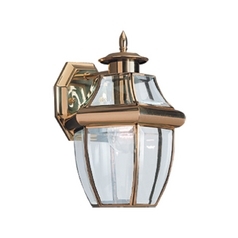 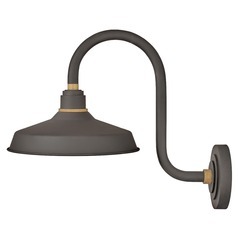 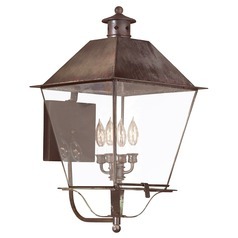 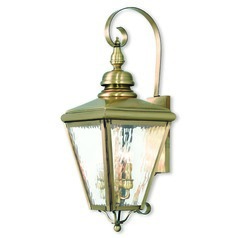 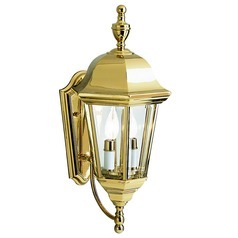 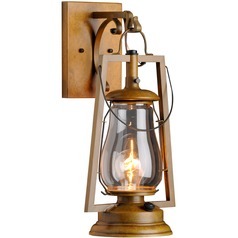 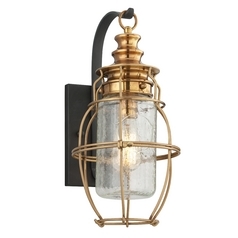 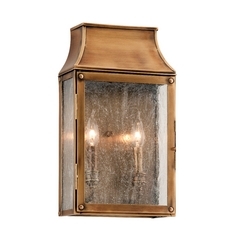 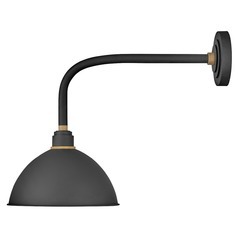 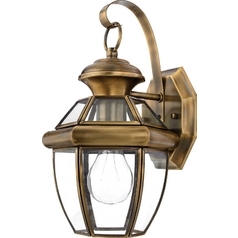 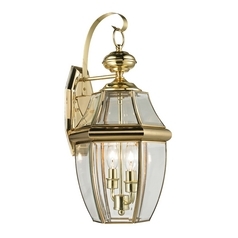 Most of our brass finished outdoor wall lights carry out a transitional style � a blend of clean, modern lines with the aged look of seeded glass and the vintage flavor of metal treatment. 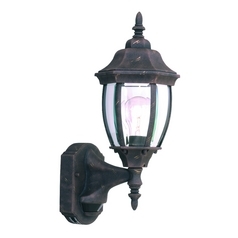 The transitional approach complements many architectural styles and gives your home exterior both grace and a sense of style. 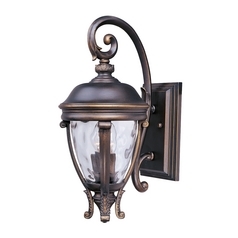 Our exterior wall lights are specially made to endure the harshest elements no matter where you live. 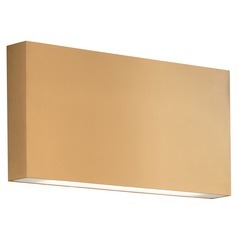 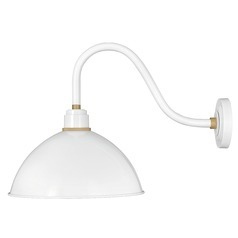 So, the excellent gold tones or brass finishes will look fantastic and keep shining for a lifetime. 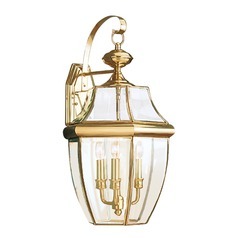 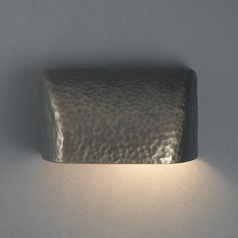 If you are confused whether to go for wall sconces or lanterns, give our lighting specialists a call at 1-800-653-6556. 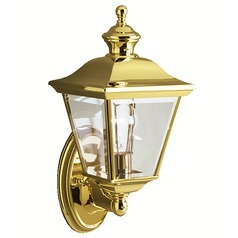 They will be happy to help!